I mostly read classics, or novels from very established authors. You are pretty much guaranteed a good book, and there are plenty of them out there. However, I recently got to talking to an author on Twitter, and decided to branch out. He likens himself to Hemingway (definitely in my top 10), and even has a sport fishing book. His newest novel, Red Stick One, is an adventure/thriller about love, loss, and revenge. 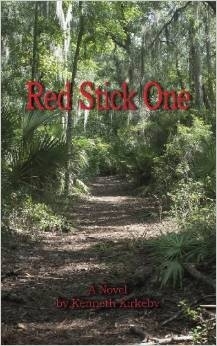 The plot of Red Stick One, has the protagonist on the trail of the man that killed his father figure. During the action, we get a few flashbacks to ‘Nam and a love story. The main character is an avid outdoorsman, wildlife officer, veteran, and east-coaster. When I bought the book, I was hoping for a western-style feel, with a more relatable story. Thats exactly what I got. I am no cowboy, but I do consider myself an outdoorsman. Its a lot easier for me to follow along during a hunt than on patrol looking for ‘pache. Overall, I thought this was a great summer read. If I had to provide one criticism, I’d say that the dialogue during the romantic scenes was a little clunky. However, the engaging plot, quick pace, and country voice, all more than made up for it. Red Stick One reminds me of Elmore Leonard’s Appalachian-based work, which I believe to be high praise. Before heading out for the last vacation of summer, throw Red Stick One on the kindle. You won’t regret it.